The Observatory closed down. The Current Information section is not relevant to this Observatory. In the late 1960s, an amalgamation of astronomical facilities in South Africa took place in order to form the current S.A.A.O. Some of the instruments were moved to Sutherland in the Karoo. Between 1911 and 1938 the Observatory detected 579 new minor planets. At the time it was a record for any institution. Discovery of Proxima Centauri, faint companion star of Alpha Centauri, made by Innes. The Observatory was initially known as the Transvaal Meteorological Department, and as the name indicate, the main concern was the weather. Due to political and administrative changes and the vigour of R.T.A. Innes (1st Director) and subsequent Directors, the observatory became an excellent astronomical institution. However, growing light pollution problems in Johannesburg and the next set of political / administrative changes led to the closure of this excellent facility. The observatory is well remembered for the quality of its Directors, work done on minor planets and the discovery of Proxima Centauri. Unfortunately it is also an excellent example of the great affect the temporal political world (real world) can have on astronomy. Due to very close ties with Leiden Observatory in Holland, an agreement of co-operation was reached in 1923 between the Union and Leiden Observatories. Astronomers from each establishment were free to make use of the facilities of the other. Since the night skies in Transvaal were infinitely better than in Holland, the flow of visiting astronomers was virtually one way. By 1929 Leiden Observatory decided to send a telescope and permanent staff to Union Observatory. In 1938 the Rockefeller twin telescope was installed. With the growing light pollution problem in Johannesburg it was decided to establish an outstation at Hartebeespoort. This became known as the Leiden Southern Station. The facility was administered by the Union (later Republic) Observatory. Some of the Union observatory instruments were also moved to the site. After the Republic Observatory closed down, the Leiden Southern station continued to operate until it was sold to Pretoria Technikon. For more, look Leiden Southern Station. The Johannesburg Observatory thus meta-morphed into a new entity, the S.A.A.O., which for reasons of convenience and space will be dealt with in this website as a separate establishment. The Transvaal Meteorological Department started operating on 1 April 1903, but only officially came into existence on 17 January 1905. Lord Milner performed the opening ceremony. Meteorology was the first concern, and in the beginning, astronomy played only a minor role, until S.A. became a Union (1910). When the four states (Transvaal, Orange Free State, Cape and Natal) merged into the Union of South Africa, their meteorological services were combined into the Union Meteorological Department. 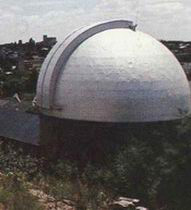 Only then could the Transvaal Observatory devote its time to astronomy. (South Africa became a Union in 1910, but the name change to Union Observatory only took place on 1 April 1912.) 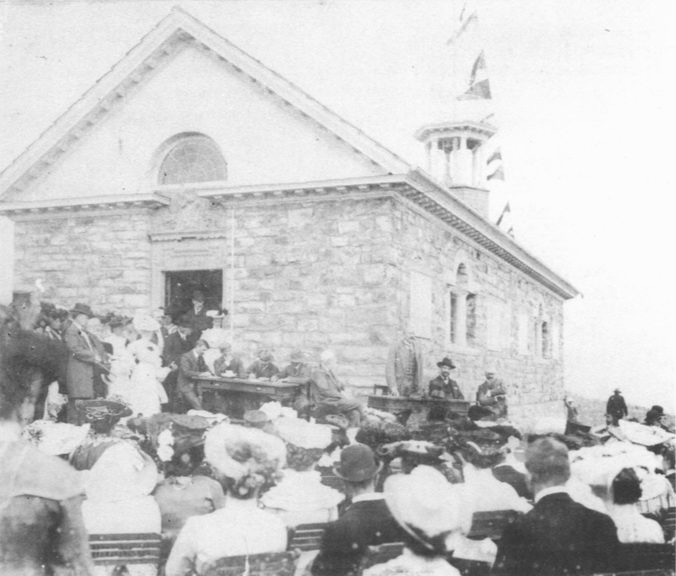 In 1907 the observatory required its first telescope, and with Innes as a pro-astronomy Director, the transition started towards astronomy. 1938: As part of the agreement between Union and Leiden Observatories, the Union Government provided funds for building new facilities on the terrain. This was to house the Rockefeller twin 16-inch telescope, which belonged to Leiden, but administered by Union Observatory. Due to growing light pollution problems in Johannesburg, Leiden decided to move to a new sight at Hartebeespoort. (Look Leiden Southern Station.) 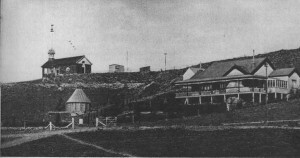 The agreement was that Leiden Observers operated Hartebeespoort, but it was an official outstation of the Union Observatory. As such it came under Finsen’s jurisdiction even though it was virtually autonomous. (director was Walraven) The Rockefeller twin and 10 inch Franklin – Adams telescopes were moved to Hartebeespoort, even though the latter was the property of the Union Observatory. In 1961, when South Africa became a Republic, the name was changed to the Republic Observatory. Finsen was in full agreement that to close the Republic Observatory would be a tragic miscalculation – and he was not alone in his views. Yet in many ways the situation was curious; after Finsen’s official retirement as Director in 1965, no successor had been appointed and although the programmes were being continued much of the impetus had gone. Other arguments also were advanced. 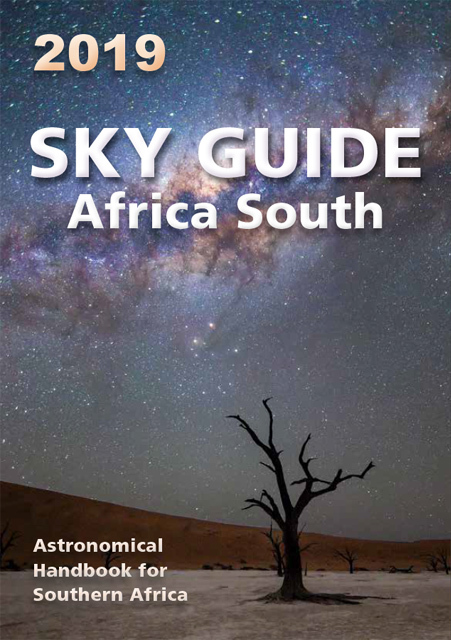 Killing the Republic Observatory would leave South Africa’s largest city without any major astronomical institute and presumably the Library, second only to that at the Cape, would also go. Shifting the 26.5-inch itself would have been impracticable even if it had fitted into the proposed programme for Sutherland – which it did not. The situation was still fluid when the International Astronomical Union, the controlling body of world astronomy, met in 1972 (it meets every three years; the 1972 venue was at Brighton, in England). Misgivings were expressed by the Commission’s dealing with minor planets and with double stars. In the official report published after the congress there was a comment from Dr P. Herget, the famous American asteroid observer, to Dr F.J. Hewitt, Vice-President of the CSIR in Pretoria: “There have been more observations of more minor planets made at the Johannesburg Observatory (and the annexe at Hartebeespoort) than at any other observatory in the Southern Hemisphere in the whole history of astronomy. To destroy this treasure-trove of observations will surely bring you lasting and increasing condemnation as the years go on.” And from the Double Star Commission, it’s President, Dr J. Dommanget, wrote, “unfortunately, as a consequence of recent re-organizations of the astronomical research in South Africa, practically all research work in the double star field in the Southern Hemisphere has been interrupted. It is imperative that immediate interest is paid by some astronomers in double star research, and effective support given to continuous observations”. In 1972 some of the instruments were moved to Sutherland. Wood (1927-1941 Union Observatory) became Director upon Innes’s retirement. He was an avid comet, asteroid and minor planet hunter. Woods time, as Director, was a period of consolidation. Van den Bos (1941-1956 Union Observatory) During his Directorship, quarts clocks were installed and Johannesburg became the “Greenwich” of South Africa. Finsen (1957-1961 Union Observatory / 1961- 1965 Republic Observatory) It was during his Directorship that the Republic Observatory became part of the CSIR. Hers J. 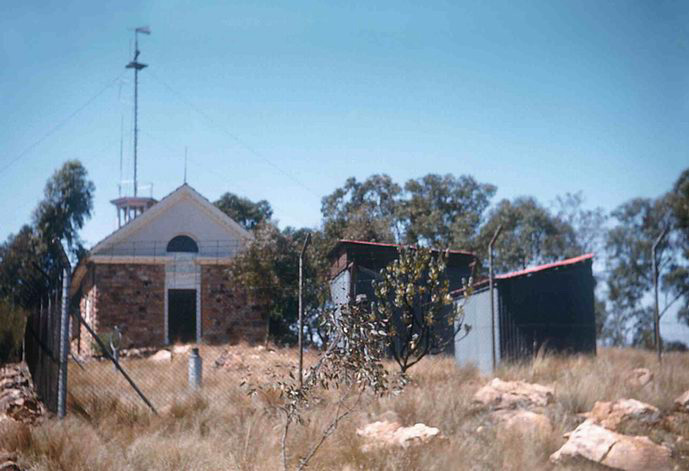 (1965-1971 Republic Observatory) During his Directorship the CSIR decided to close down and amalgamate the Observatories. Innes telescope 26.5 inch: Was ordered in 1909, but due to delays the telescope was finally installed in 1925. Franklin-Adams twin telescope 1912: 6 inch & 7 inch. Laing, J.D. (ed. ), The Royal Observatory at the Cape of Good Hope 1820 – 1970 Sesquicentennial Offerings, p. 4. 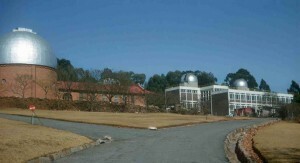 The South African Astronomical Observatory, pp. 16 – 18. 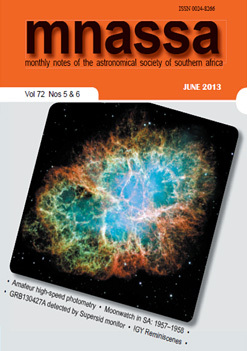 The Year Reports of the Johannesburg Observatory is available in a digital format. – In 1968 the Royal Observatory in Cape Town ceased it’s formal existence and became part of a joint venture between the South African CSIR and the Science Research Council, known as the South African Astronomical Observatory. 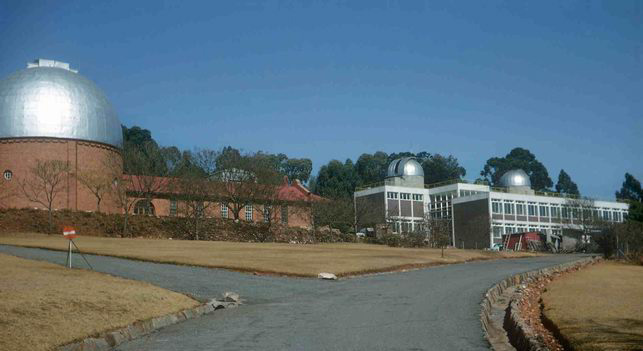 At the same time, the Republic (formerly Union) Observatory in Johannesburg was closed down. The library and some of the archival material from the latter were sent to the SAAO, but most early papers were transferred to the Archives attached to the CSIR Library in Pretoria. -The bulk of the material is concerned with the establishment and instruments of the Union Observatory. Gill’s and Innes’s correspondence on these subjects include a letter to Boss on the selection of the site, extensive exchanges with Turner and Grubb, and negotiations with the firms of Grubb, Cooke, Repsold, Hilger and Chance, 1903-26. There are notes by Innes on the construction of the 26-inch refractor. -The siting and use of the Franklin Adams telescope is covered by correspondence between Innes and Franklin Adams, H. E. Wood, T. Cooke and various officials. -Most of the correspondence between the Union Observatory and other observatories is preserved. Correspondence with individuals has been filed by country and by individual and include inter alia Spencer Jones, Dyson, Comrie, Lockyer, Turner, Eddington, Crommelin, Phillips in England; G. Struve, Hertzsprung, Kapteyn, de Sitter, Pannekoek, E. Stromgren and many others in Europe; Boss, Schlesinger, Brown, Hill, Shapley, Burnham and very many others in the USA. Many thanks to Dirk Vermeulen who helped with the page on the Republic Observatory. The opening of the Goverment Meteorological Department by Lord Milner. The Goverment Meteorological Department in 1905, better known as Union Observatory. Later renamed to Republic Observatory. 26-inch Telescope Dome and Library at the Republic Observatory. Source: A.S.S.A. Archives: Peter Smits Collection.